Rotary Club of Perth Kinnoull has donated six hundred pounds to Pitcairngreen Village Association as a thank you for all their help and cooperation over the four Tayside Challenge events helping us to raise approximately thirty four thousand pounds. 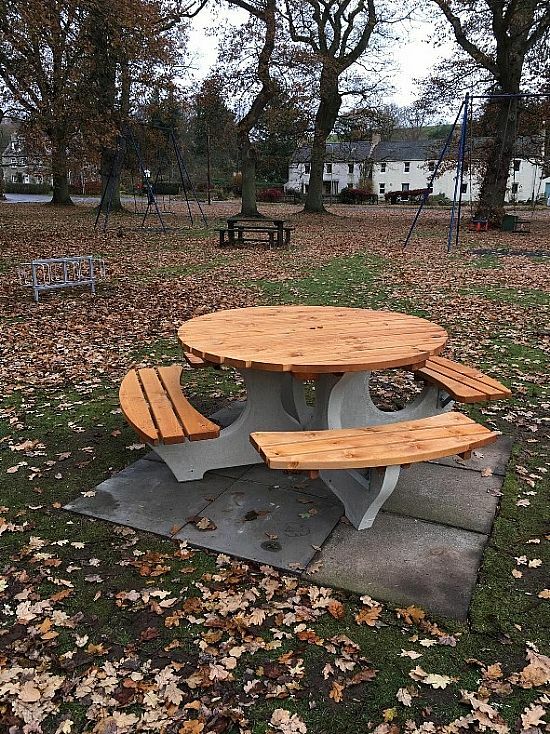 It was decided that the money would be used to buy a quality picnic table for the village green. The Association had also said they needed a bike rack and Douglas Sinclair offered one which he had acquired on the farm. Douglas cut it down to the size they required and repainted it ready to be set in a concrete base. The photo shows both the picnic table and the bike rack.